The Cinta Costera is THE place to get your workout on in Panama City. Fondly referred to as “The Cinta,” The Cinta Costera is the city’s beautiful waterfront boulevard, loved by all ages (and all fitness and energy levels). 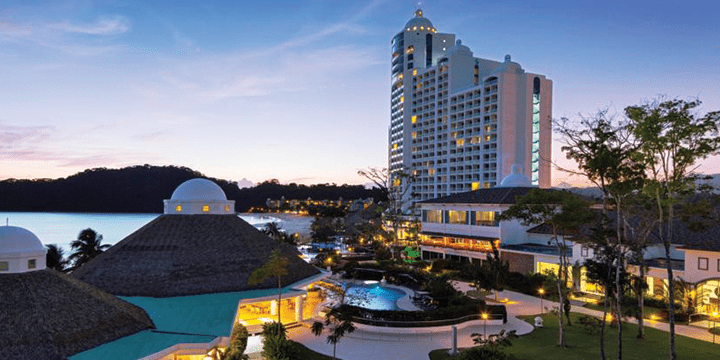 Apart from a destination for leisure and activity, the Cinta is also the scene for some of the best parties in town. Annual events such as Carnival and Pride Parade take advantage of this ample waterfront thoroughfare as the main drag for their festivities. Regardless of the occasion, the Cinta Costera really is a unique lifeblood of the city. Whether you’re visiting Panama City, a recently transplanted expat, or a native of the city, it’s hard to ignore one of the most cherished public spaces in the nation’s capital. How did the Cinta Costera come to be and what’s the best way to make the most of this urban planning wonder? Read on for everything you need to know about visiting and enjoying the Cinta Costera. While many who’ve come to know Panama City in the past ten years can’t imagine it without the Cinta Costera, you might be surprised to find that this addition to the city is relatively new. Spanish for “Coastal Beltway,” this land reclamation project was completed in 2009. The beltway includes 64 acres of ocean front land that affords great views, plenty of outdoor activities, and fun for the whole family. Prior to this massive renovation project, this stretch of Panama City’s coast was mostly under-utilized and was certainly not a destination for leisure. In the early 2000s, the government committed to spending almost 200 million dollars on the project. While it might sound like an astronomical bill, most would agree it was money well spent. On any day and at any hour you’re likely to catch locals and visitors exercising and relaxing along this magnificent coastal beltway. Additionally, it’s one of Panama City’s top tourist destinations. Additions have been made over the years to add to the Cinta. Most recently, in 2014, the third extension of the Cinta Costera was completed. This last portion of the project includes an impressive loop around the Casco Viejo with water on both sides of the beltway. This final extension also connects the Maracana Stadium to the rest of the Cinta, making it a great destination pre or post-game. As expansions and upgrades to this project continue, the Cinta Costera becomes more and more beloved by the people who call Panama City home. Regardless of how you like to get your blood pumping, if you’re in Panama City, the Cinta Costera is the ideal place for recreational activity. Jog, roller-blade, downward dog, move and shake it however you want – you’ll be doing it looking right out to the Pacific, all the way from Paitilla to Amador. Talk about unbeatable views! The Cinta Costera isn’t just for runners. There’s something for everyone on the Cinta: 9km of palm-tree lined wide trails and bike lanes await the fast, the furious, and the slow (ie: there are plenty of strollers too). The adventurous can bike all the way from Multicentro to the Mercado de Mariscos fish market. Not so keen on getting around on wheels? Don’t fret! The Cinta is a great spot for everything from a brisk run to a leisurely stroll. Or looking for something a little more rhythmic? If so, you can attend a free Zumba, AeroBox, or yoga classes offered in the Cinta’s many public spaces. There is also a state-of-the-art skate park that is a favorite stomping ground for teenagers (though lots of fun for onlookers as well.) 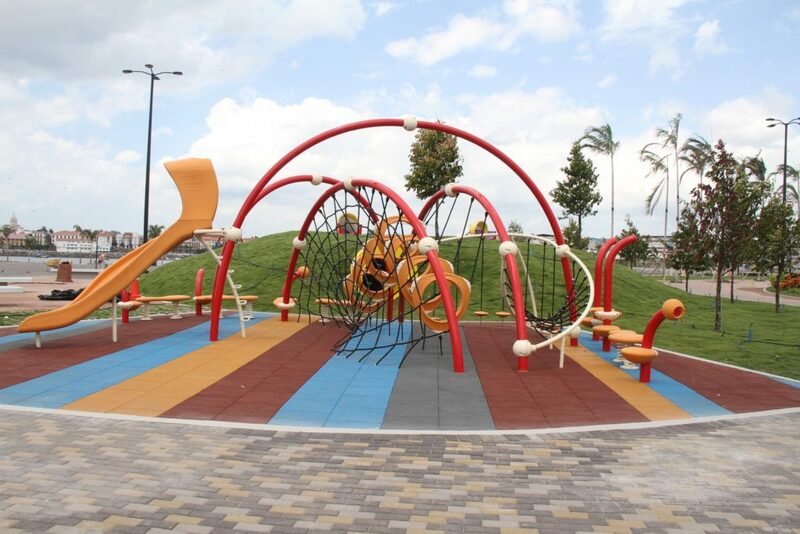 Brand new kiddie playgrounds, workout stations, and tennis, volleyball, and basketball courts are all nestled in between the landscaped green spaces. We really aren’t exaggerating when we say that the Cinta offers something for everyone. Whether biking, zumbaing, or just people watching, you’re bound to get hungry with all that activity. Luckily, the Cinta Costera is also a great destination to grab some authentic Panamanian cuisine. The Cinta Costera has what is arguably some of the best, and undoubtedly some of the freshest seafood offerings in Panama City. Unless, of course, you head to the Mercado de Mariscos. 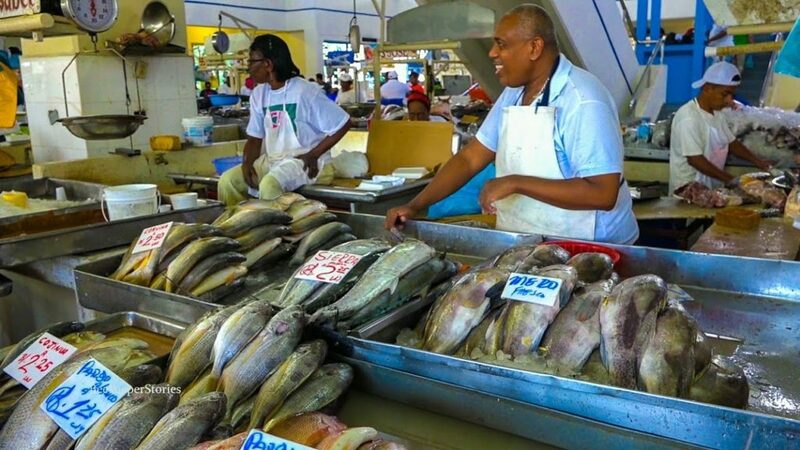 Here, you can see the local fishermen unloading the day’s catch and turning it to ceviche right before your eyes. Whether fish, shrimp, octopus, or any other mariscos delicacy, we can pretty much guarantee this will be the freshest ceviche you’ve ever tasted! Locals all have their favorite stall that they think makes the best of the best ceviche. Our recommendation? Don’t take anyone’s word for it. Sample a cup from as many different vendors as you can. Hey, with all that activity, you’ve earned it. After a morning of vigorous activity and a lunch of delectable seafood, you might think it’s time to head home. You’d be wrong, though. The Cinta Costera is also a great place for leisure and relaxation. The entire stretch of coastal beltway is interspersed with manicured green spaces that are perfect for relaxing, visiting with friends, or people watching. Lush palms and park benches provide plenty of places to take a seat, enjoy an unbeatable view of the Pacific, and just watch the world go by. Both tourists and locals alike also flock to the Cinta Costera for chances to snap some postcard-worthy photos. The entire 9 km stretch of coastline affords stunning backdrops of the Pacific Ocean. 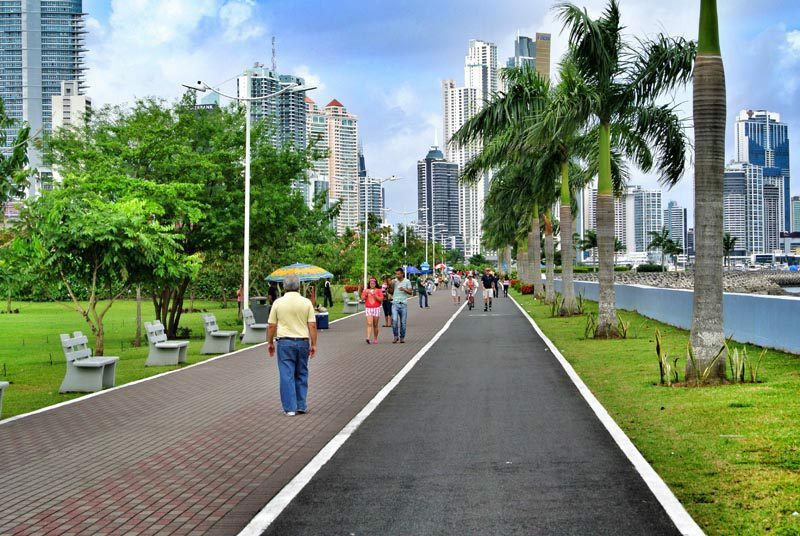 At the southern end of the Cinta Costera, you can also catch great shots of Panama City’s iconic skyline, while the newest additions to the beltway show off views of Casco Viejo. The Cinta Costera is a lively destination in the city at all times of the year. It’s often abuzz with street vendors, fairs, and performances. There are certain times, though, that the Cinta transforms to accommodate large festivals and parades. The second week of December every year finds the Cinta bursting with Christmas spirit. The entire beltway is typically closed to traffic for a full weekend to host a parade and celebrations with food, music, and fun. The celebration is even bigger for Carnival which typically takes place in late February or early March. When it comes to Carnival, Panama means business and nowhere is as happening as the Cinta Costera. The street is mostly closed to traffic for a full four days. Instead of bikers and joggers, the beltway is packed with music, dancing, drinks, and revelry. Parades roll up the Cinta and Panamanians enjoy one of the most vibrant times of the year. A final tradition that makes use of the Cinta Costera as the perfect venue for celebrations and parades is Pride Week. 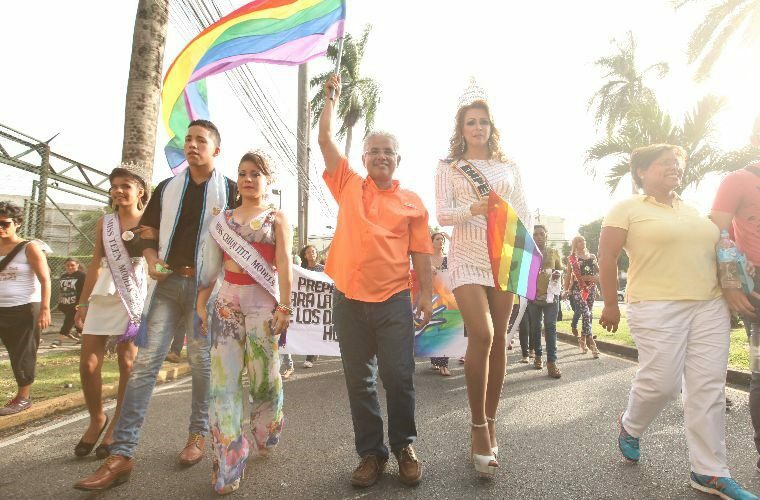 For the past several years in late June, the LGBTQ community of Panama City takes to the Cinta Costera to celebrate this international day of pride. In this case, the festivities are mostly confined to the area of the Cinta that is closest to Casco Viejo. While the parade might not be as long as those of Carnival, it still has plenty of energy, and the Cinta Costera is the center of the action. There really isn’t a wrong time to visit the Cinta Costera. From dawn to dusk and every day of the week, you’ll have plenty of space to safely enjoy the beltway and participate in the activity of your choosing. During the work week, morning and evening are the most common times for locals to use the beltway, getting in some physical activity before or after work. During the middle of the day, you’ll often catch visitors taking in the views or pedalling along on rented bikes. Don’t forget – Panama can be hot. While there are some areas on the Cinta with shade, there are plenty without. On sunny days you’ll want to bring a hat and water and wear sunscreen if you plan on spending much time on the Cinta Costera particularly at midday. On the weekends, crowds flock to the Cinta Costera at all hours of the day. Sunday afternoons are particularly popular since several lanes of traffic on the Cinta Costera are closed to cars on Sundays. It’s a perfect way to take in the city as it wakes or spend time with friends and family. Get there earlier enough, and you might even see the fishermen bring their crates in to market. 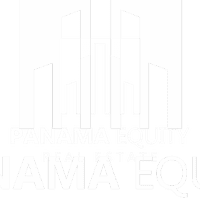 Regardless of when you visit or how you choose to enjoy this feat of urban planning, don’t miss out on what is easily one of the most beloved parts of Panama City. The Cinta Costera really does offer something for everyone.